Pectus Excavatum is a frustrating condition that creates a sunken-in appearance of the chest due to the abnormal development of ribs and the sternum. 1 out of every 300-400 children experiences this condition, with the majority of the cases being found in males. Finding the best pectus excavatum exercises can help this condition. Some people who have this condition don’t suffer any medical problems from it. But, they still face issues in their social life, since this condition can have an apparent psychological effect. For others, this condition can actually cause pain and even impair heart and lung function. Some people may require surgery, while others can focus on non-invasive techniques to improve your condition. 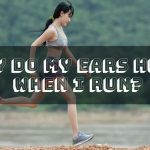 With the severity of your condition and the side effects in mind, it makes sense to try and develop an exercise program, both in and outside the gym, to help this condition. Here are the top 6 exercises for Pectus Excavatum. Performing these movements can increase the muscle mass in the affected area and expand the chest when full Range of Motion is utilized. You can pick 1-2 of these movements for each workout and perform 3 sets of each for 10 repetitions per set. This may seem like a higher amount of repetitions per set than normally recommended for strength training. However, you have to take into account that your chest is already weakened from your condition so stressing it with significant amounts of resistance may be detrimental. That’s why focusing on a weight that you can handle for 10 reps is a better idea. Even if you opt for surgical repair, strength training is almost necessary to ensure improved recovery from Pectus Excavatum, as seen here. Strength training can improve the layer of muscle covering your concave area on your chest, which can lower your risk of future injury to the area. When performing all of these exercises, it’s important to contract your shoulder blades to ensure your chest is expanded and your back muscles are activated properly. Just like your chest training, 3 sets of 10 reps per set should be used. It may seem like Back training doesn’t seem important since the condition is present on your chest. However, strengthening your back muscles may be even more important than strengthening your chest. Your upper back musculature will be the main driver in improving your posture. Keeping your shoulders back and your chest expanded is exactly what the function of a strong upper back is! Aerobic Training can help improve lung and heart function, especially if the condition affects these areas of your life. 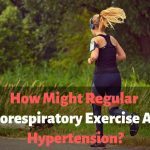 The increased volume of air taken into your lungs during the exercise will also help your condition, as you’ll see with the breathing exercises a little later. What is important is that you need to focus on low-intensity steady-state aerobic exercise and not HIIT style workouts. Those workouts may be more efficient, but they can cause undue stress to your respiratory system that you don’t need with this condition. Performing 30 minutes of low-intensity cardio, keeping your heart rate between 65-75% of your Max Heart Rate, 3 times per week is a great way to improve your cardiovascular endurance and improve your heart and lung function with regards to pectus excavatum. Also, don’t think that surgical repair will automatically improve your respiratory function. 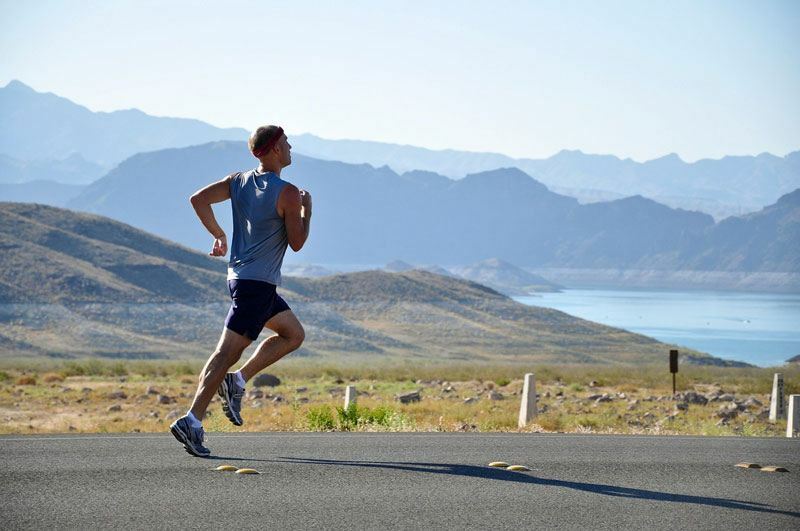 One study noted that lung capacity actually decreased by 8% after surgery, meaning that aerobic exercise is very important whether you have the surgical repair or not! If you are unaccustomed to any cardiovascular exercise, focus on doing 1-2 sessions per week for only 10-15 minutes. After this feels comfortable, you can build up slowly to the recommended duration of 30 minutes 3 times per week. The exercise that is required to improve your condition doesn’t have to be intense. Stretching techniques can be employed to expand your chest and help improve pectus excavatum as well. These stretching routines can help improve posture, which is a major side effect of this condition. Improving your posture can definitely improve the quality of your life. The stretching doesn’t have to specifically be designed for pectus excavatum, although ensuring that focus remains on chest expansion is important. Simply attending your local Yoga class a few times a week can make a big difference. However, if you want a specific routine to improve your condition directly, make sure to check this site out. One thing that we’d like to note with that routine: they recommend holding the stretch for as little as 8 seconds for 3 total sets. Instead, we recommend holding each stretch for a minimum of 30 seconds per stretch and keeping the 3 total sets. Doing this routine each day will be quick and easy and improve your condition! Breathing techniques should be employed when stretching and at various other times throughout the day. The first thing to ensure is that you maintain proper posture while doing these breathing exercises. These techniques are basically the most essential for the treatment of pectus excavatum, regardless of how serious the condition is, as you can read about here. The first technique is to just ensure that you focus on deep breaths to expand your chest. In addition to the strength training and cardiovascular exercise, your lung function will be improved and your condition will improve as well. Breathe in as deep as you can and release the air slowly. Once this feels comfortable, you can focus on holding in deep breaths for 5-10 seconds at a time. This helps keep your chest expanded instead of expanding and contracting immediately. This makes for a great stretch for all the internal musculature of your chest cavity, which can help pectus excavatum. It’s important to know that these breathing techniques can cause pain in some with severe cases of pectus excavatum. For those that experience pain, you can still do these exercises but focus on breathing in just deep enough to ward off pain and still expand your lungs and chest cavity. One thing that you might want to avoid is traditional crunch-style exercises that focus on collapsing your shoulders forward to crunch your abs and make them flex. What this does it create a posture that you already experience too often: shoulders too far forward with a collapsed chest. Instead, focusing on movements like Plank will allow you to strengthen your abs without bringing your shoulders forward. Supermans will also help your posture by keeping your upper back contracted and opening your chest while flexing your lower back muscles to strengthen them. The best pectus excavatum exercises are going to be the ones that can produce results without causing pain. Depending on the severity of your condition, these non-invasive exercises can improve your condition or slow its deterioration. If you still require surgical repair, the majority of these exercises will be important for the rehabilitation afterward. Either way, it’s important to make these exercises an important part of your treatment in your daily life. They can do wonders!